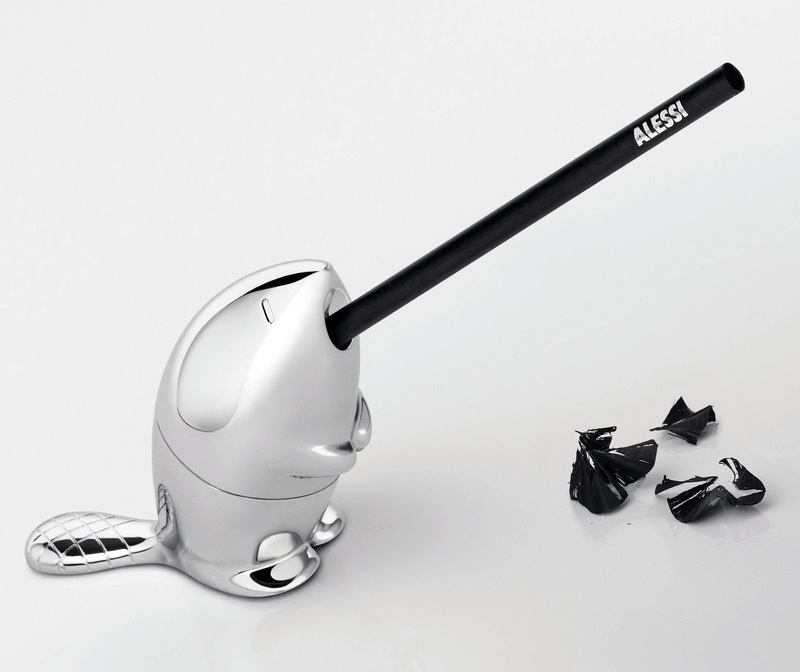 Alessi Kastor Desktop Pencil Sharpener. 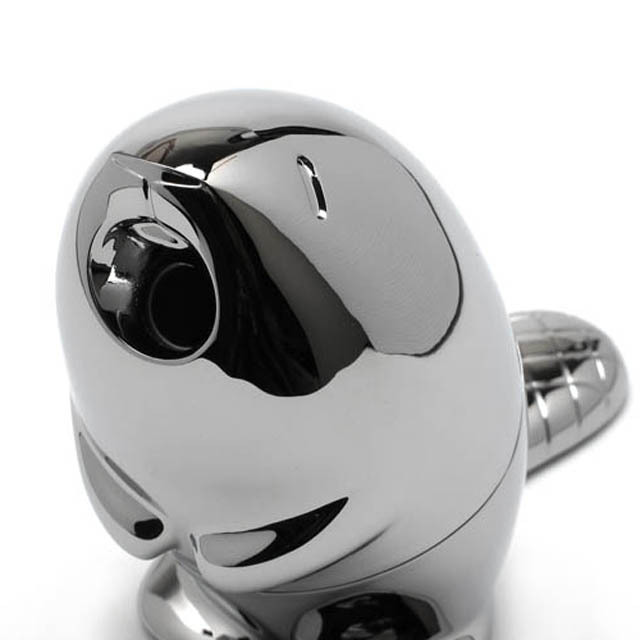 Kastor: a desk pet reinterprets a classic desk typology. 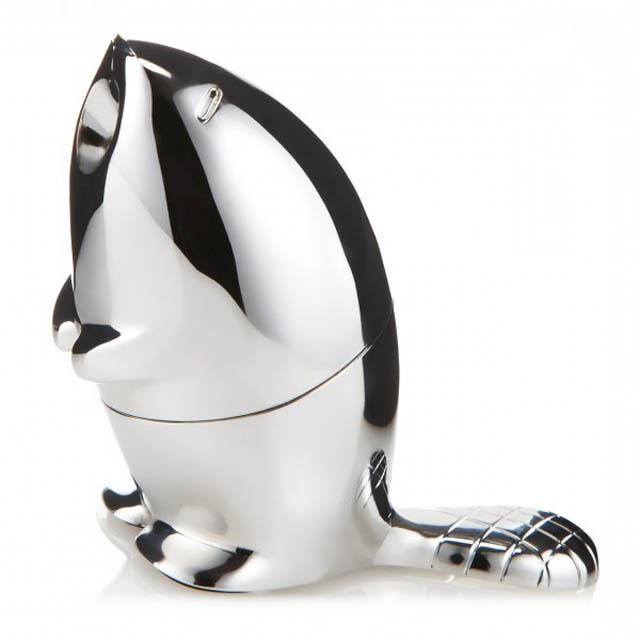 This wood chewing beaver Kastor Pencil Sharpener by Rodrigo Torres from Alessi, provides a fun spin on your traditional pencil sharpener design. 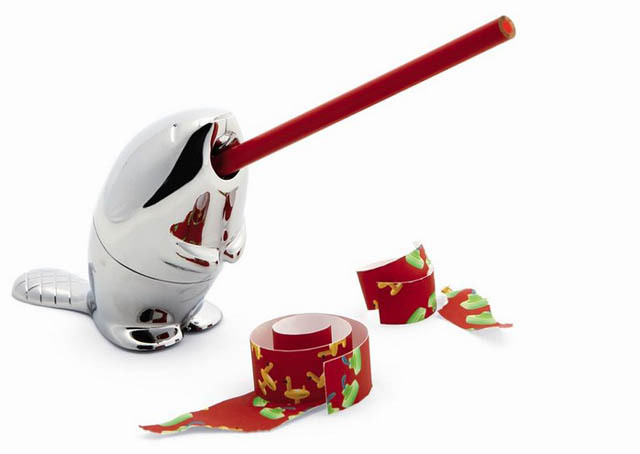 Kastor is practical and easy to use: by placing the pencil in the beaver’s mouth, you can sharpen it with extreme ease thanks to the sharpener located inside. 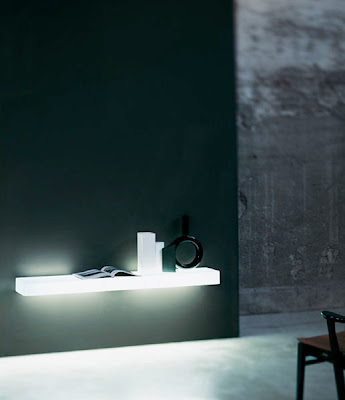 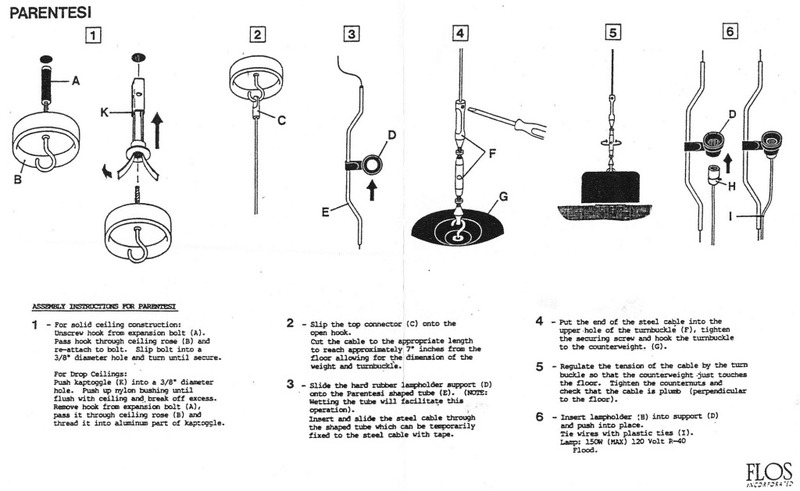 Thanks to its solid construction, it also makes an ideal paperweight. 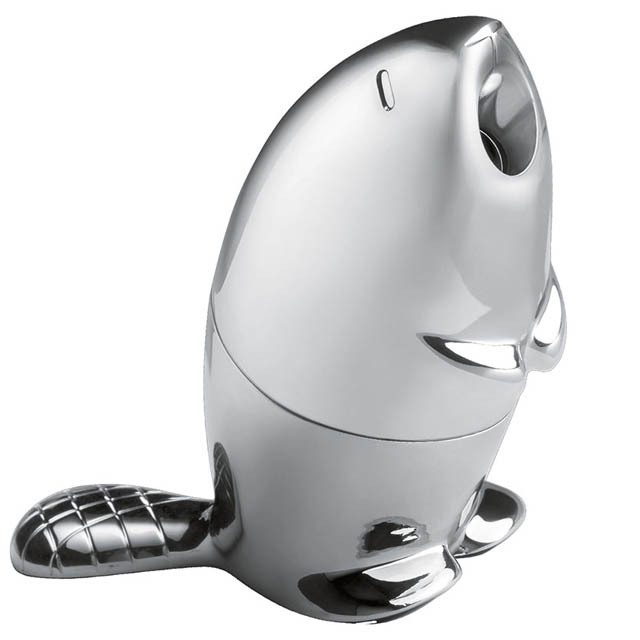 Pencil sharpener in chrome-plated zamak. 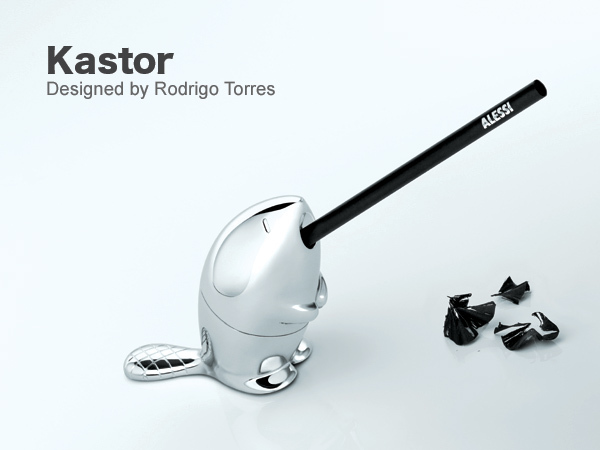 The Pencil sharpener Kastor has been designed by Rodrigo Torres. 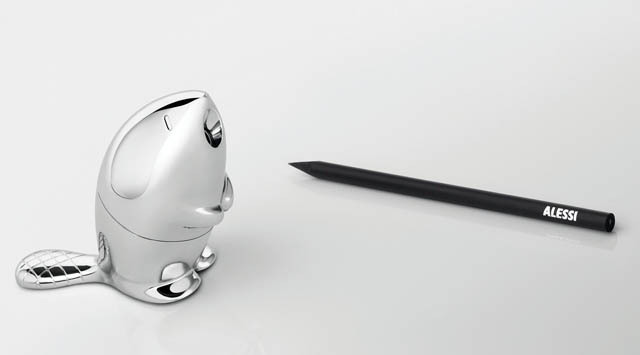 Kastor is poised and ready to gnaw on the tip of the pencil. 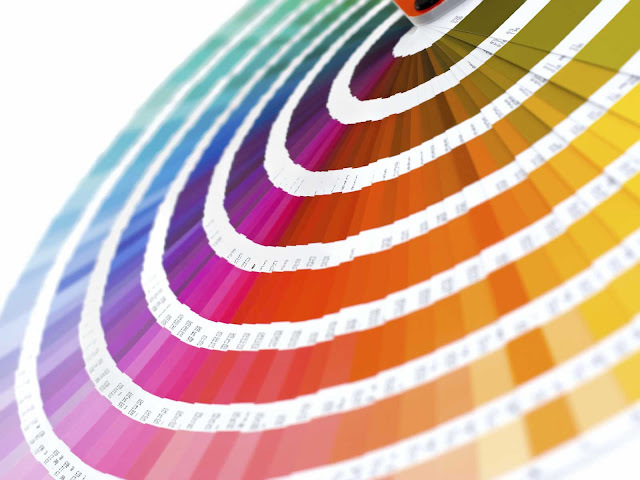 The design has been studied in great detail: eyes, teeth, paws and tail all contribute to defining the animal’s form. 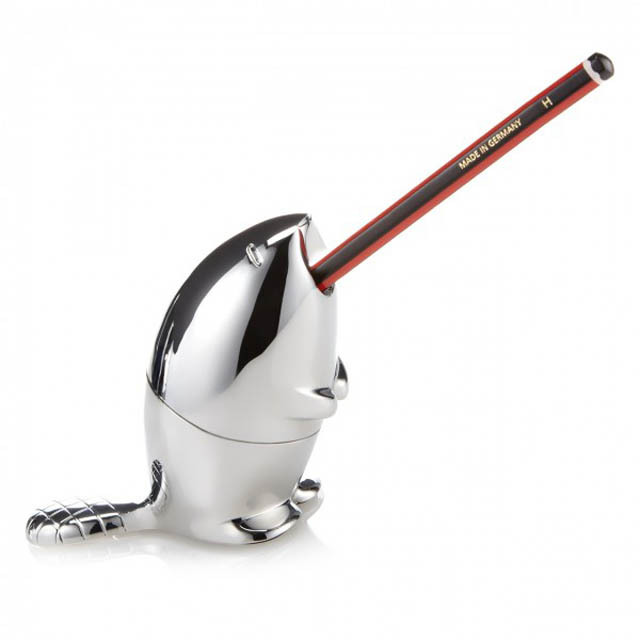 Kastor is practical and easy to use: by placing the pencil in the beaver’s mouth, you can sharpen it with extreme ease thanks to the sharpener located inside. 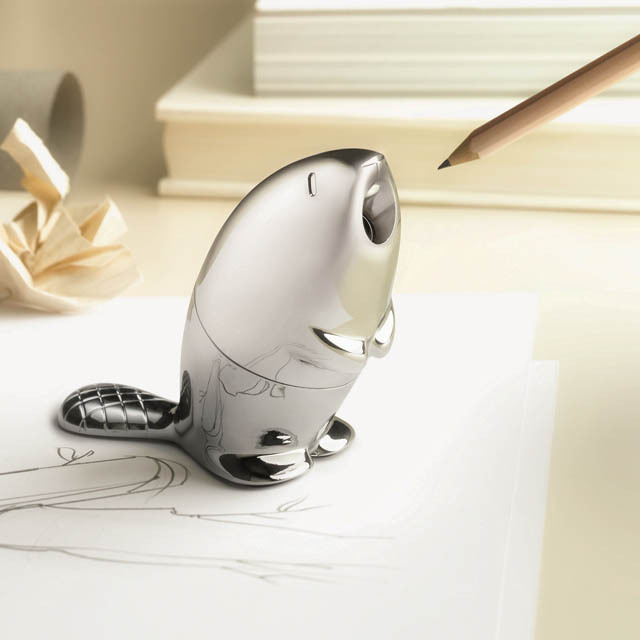 Thanks to the Sharpener’s solid construction, it also makes an ideal paperweight.